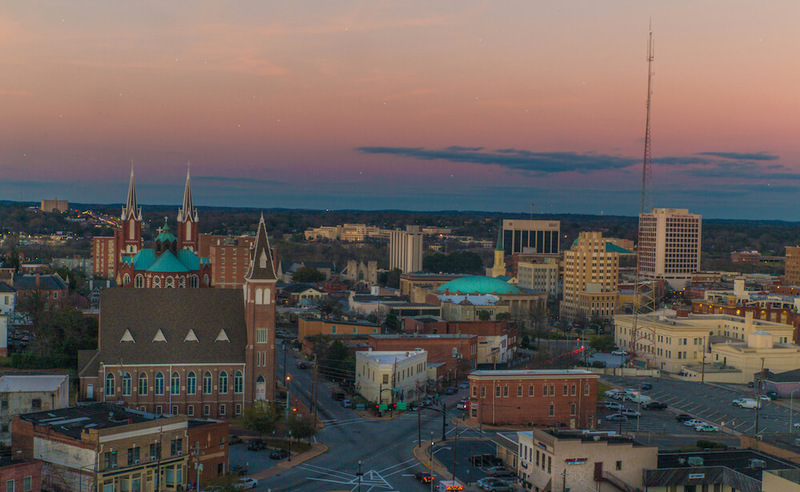 Visit these five group-friendly sites in Macon, Georgia. Main Street Christmas Light Show Extravaganza, Macon, Ga.
From Nov. 30–Jan. 4, see thousands of lights move in time to music performed by Macon Pops, Macon’s contemporary orchestra. The Light Show kicks off with a live concert by Macon Pops on November 30. 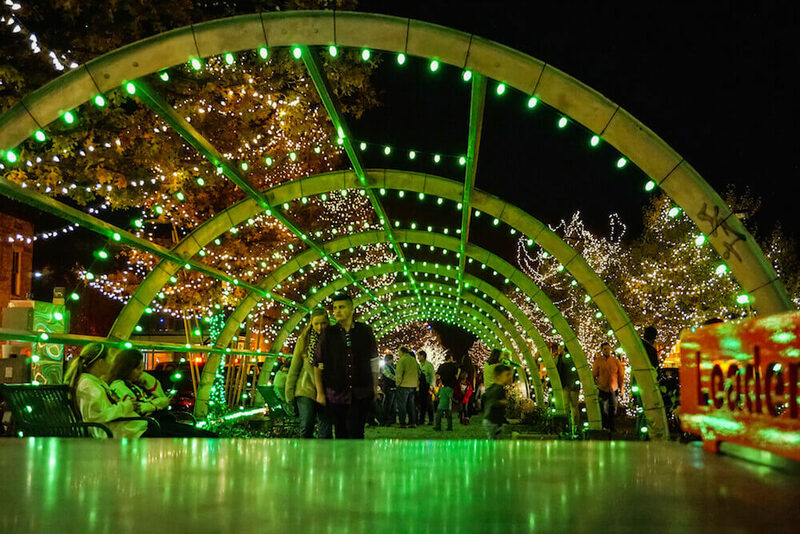 This free, family-friendly event is the perfect way to kick-off your holiday celebrations. Dedicated to the art, history and culture of African Americans, this 49,000-square-foot space includes a mural called “From Africa to America,” an inventors gallery, local history, and more. The Hay House, Macon, Ga.
Lovingly nicknamed “The Palace of the South,” this 18,000-square-foot Italian Renaissance Revival mansion is a must-see. 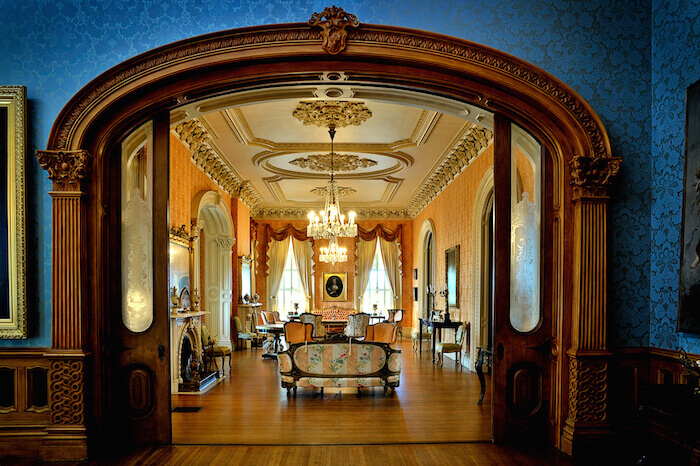 It’s considered the most advanced antebellum building in America for its style, craftsmanship and technological innovations. Filled with beautiful 18th-century furnishings, Italian Carrara Marble fireplaces and spectacular stained glass, the Hay House is the perfect place for a group tour. Photo: Visit Macon Home to members of The Allman Brothers Band (ABB) from 1970–73, The Allman Brothers Band Museum at The Big House has the largest collection of ABB memorabilia in the world. Stand in the room where Dickey Betts wrote “Ramblin’ Man,” see Duane Allman’s Les Paul Goldtop, and much more. Ocmulgee National Monument, Macon, Ga. Step back in time 17,000 years at this prehistoric American Indian site. 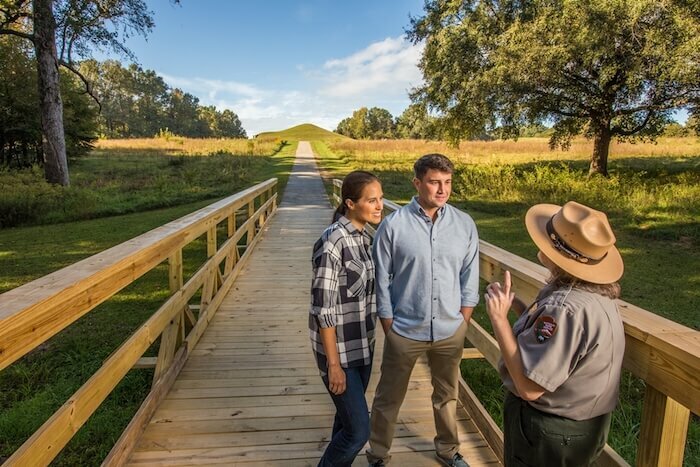 Ocmulgee National Monument is filled with rich history including the Earth Lodge with its’ original floors dating back to 1015 A.D. The park’s 702 acres encompass upland fields and forests, and wetlands along Walnut Creek and the river.